IF YOU GUYS WANTED ME TO BE GONE FROM THE VIASAT FORUMS... THEN YOUR WISH HAS BEEN GRANTED!!! NOW GOOD DAY!!! SCREENSHOT IS PROVIDED!!! AS YOU CAN TELL... THERE ARE 2 PEOPLES USERNAME CHANGED TO DEKU!!! BUT YET... IF YOU LOOK CLOSER... THEY HAVE SOMETHING INTO THE USERNAMES ALONG WITH DEKU!!! THERE USERNAMES IS CIRCLED INTO RED SO YALL GUYS CAN SEE IT!!! BUT!!! LETS GET INTO THE SERIOUS BUSINESS NOW!!! these 2 people who CHANGED there username to mine and somehow put deku infront... and something along with it... i mean... they mustve chatted with each other via email or whatever... and so decided... hey lets change our username to deku... so she can cry about it and so on... those 2 people... must be onto either facebook... or emails or whatever... BUT!!! this just seems SO IMMATURE AND CHILDISH TO THE POINT OF... WHY IN THE HECK AM I THE ONLY ONE BEING TARGETED HERE!!! WHY ME!!! EVERYWHERE I FRICKING GO... I ALWAYS GETS MADE FUN OF!!! IT IS THESE TYPES OF PEOPLE... WHO DOES THIS KINDA OF STUFF!!! THIS IS TOTALLY UNACCEPTABLE!!! THEY ARE TRYING TO TARGET ME AND SO ON!!! WHAT DID I EVER DO TO DESERVE THIS!?!?!? HUH!?!?!? MAYBE... IF I JUST NOT POST ANYTHING AT ALL... THEN... MAYBE... YALLS BE HAPPY!!! IS THAT WHAT YOU GUYS WANT FROM ME??? YALLS WANT ME TO NOT COME BACK ONTO THIS FORUM ANYMORE!!! IF SO... THEN YOUR WISHES HAVE BEEN GRANTED!!! AND YOU WILL HAVE TO THANK THOSE 2 "FAKE DEKUS" FOR MAKING ME NOT RESPOND NOR POST ANYTHING ANYMORE!!! I WILL COME BACK... ONCE IM NOT BEING TARGETED ANYMORE!!! BUT I WILL NOT DELETED MY FORUM ACCOUNT!!! IT WILL JUST STAY OPENED UP!!! BUT... I WILL NOT RESPOND NOR POST ANYTHING ANYMORE!!! JUST TO MAKE THOSE 2 "FAKE DEKUS" HAPPY!!! once again... imma so sorry... if imma big burden to ANYONE!!! and this is to @Judge & Jury... you know where to find me at... and so on... i had alotta fun meeting you judge and jury... BUT!!! IF FOR SOME REASON... I DO NOT RESPOND... IT IS... CAUSE OF WHAT THOSE 2 "FAKE DEKUS" did... its cause... THEY WANT ME GONE!!! ONCE AGAIN VIASAT PEOPLES AND EMPLOYEES... IT WAS FUN BEING ON HERE... BUT... I GUESS... SOME PEOPLES DONT LIKE ME HERE... SO THE 2 PEOPLES HAVE HAD THERE WISH GRANTED!!! I WILL COME BACK EVER NOW AND THEN... AND LOOK AT SOME STUFF... BUT I WILL NOT REPLY NOR POST ANYMORE!!! sad and upset... i WONT be posting for a BIG long time... so i wish you guys the best!!! i will however... pop in every once in a while!!! Wow. So uncalled for to attack you. I am sure the mods will get things cleaned up this morning. The mods will take care of those jokers Deku. They attack you because you know how to use your Viasat internet and can enjoy it and tell everyone that you do. They aren't smart enough to understand what they have subscribed to and are taking it out on you. You should be flattered that they went to a lot of trouble to target you. You must be doing something right! Score one for Deku! I have a feeling some people are going to be banned once the admins have their coffee. Hot Chocolate. I believe in miracles. You would think the mods would need something a little stronger when coming back from a weekend. ...They know what awaits them. I can neither confirm nor deny a "stronger" ingredient to said hot chocolate. Same guy probably, if he chases you away you let him win. Yea, I bet money it's the same person. There's no need to leave because of one person that just got here and will be gone after today. The place wouldn't be the same without you. I don’t know you DeKu, but I enjoy your upbeat posts. I’m sure I would never be confused by anyone signing in as you because you have a distinct jubilant writing style. I rarely look at the signatures, so please allow us continue to enjoy your commentary. I don't always understand what you write but I enjoy it nonetheless. All. These posts have been removed as well as the users banned. I'm sorry for the language used. I got to do my inner Thanos and made those posts cease to exist. A good reminder as any. This abusive behavior will not be tolerated and will result in an immediate ban. I am with you folks, it is the same person who just came to the forum to pick on Deku, and Viasat. Moderator Brad has already dispatched the fakes. Deku, don't stay away from the forum, you have many friends here. Deku you do have friends. Please come back your welcome heres. Always remember Deku, PLUS ULTRA! ALWAYS. Deku--sorry this happened, but just ignore the bad guys. A Champion will be challenged from time to time, usually by someone that could never fill your shoes. The hateful of this world would stomp you out if it weren't for your strength. I told you very recently to Consider the Source when you are troubled by someone. Here again, Consider the Source. IT IS THESE TYPES OF PEOPLE... WHO DOES THIS KINDA OF STUFF!!! You know the source and it's nobody to run from. The poster is now a "Has-Been" and you don't need to join them there. Fight back with determination, show flaming arrows did not burn you, they only lighted-up your way. You are a fun person and they are not. You have fun and they don't. You make many friends and they can't. They are miserable- and misery loves company so they would try to have you join them in their misery and disappointment by pulling you down into that pit they live in. I see a lot of people here that are the one's that count, and we all believe in you as a person and care about you because of who you are and what you are... an inspiration to us all, to take a break and smile once in awhile. Life doesn't have to be so serious all the time and you remind us of that. Remember... David did not run away from Goliath, he put an end to him, and victoriously stood over him.... as a Champion. Yup.... There it is there. This response, supporting Deku is fantastic! She hasn't responded yet, but as you know, each post sends an email to her. 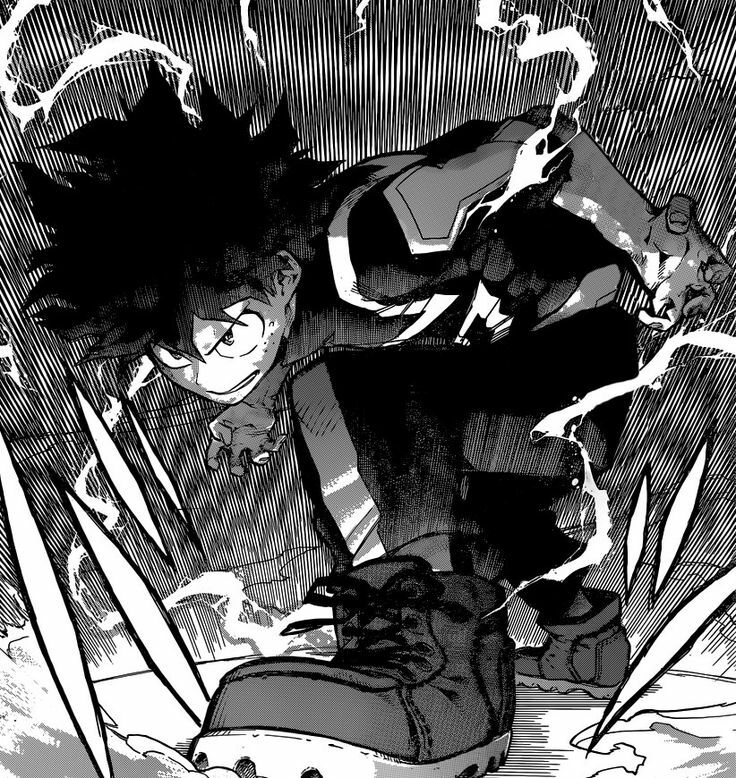 We look forward to Deku's triumphant return!!! In the meantime, I'm gonna lock the thread. Deku knows the love is flowing to her, despite some childish people attempting to hurt her. As Jim16 said, PLUS ULTRA!